Have you received one of "those" letters from your insurance carrier stating they will not be renewing your insurance policy unless you have a 4 Point Insurance Inspection completed? If so, the following information may help you understand why a 4 Point Inspection was requested and what the 4 Point Inspection entails. 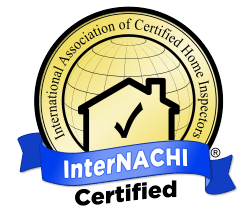 WHAT EXACTLY IS A FOUR POINT INSPECTION? A “Four (4) Point Inspection” is ordered by the insurance company for new policies or on renewal when a house reaches a certain age. The age requirement for which the “4 Point Inspection“ is requested varies from carrier to carrier usually starting at 30 years or older. The “Four Point Inspection“ report form of which ON THE GULF HOME INSPECTION SERVICES utilizes is approved by Citizens Insurance who virtually sets the reporting standards for those insurers writing policies within the State of Florida. The report informs the insurer of the condition, age and all upgrades which were made to the systems listed above. Your insurance company determines whether a “Four Point Inspection” is required on your existing home or the one you are about to purchase. Again, the criteria in making this decision is based solely on the age of the dwelling. Roofing components nearing the end of their intended useful life expectancy. The insurance carrier will not provide insurance if one of the above referenced roof covers has “less” than 3 years life expectancy left or if there are missing shingles, tiles or evidence of active leaks. HVAC systems (air handler and condensing unit) which may be nearing the end of their intended useful life expectancy. Insurance carriers want to confirm there is a heat source present. They will not renew or write a policy if there is no heat source present. Space heaters do not qualify as a source of heat. Water heaters which may be missing a temperature relief valve or an extension. https://www.onthegulfhomeinspectionservices.com/?cat=134Missing water shut off valves.Insurance carriers assume that newer homes will not have these issues. In older homes, these issues may be present and may result in future claims being made under the policy. Keep in mind, insurance policies insure against unknown risks, once the issues are identified they are no longer considered to be unknown risks.A good example would be; an insurer will not write a homeowner’s policy while there is a tropical storm in the Gulf. This is a known risk for which an insurer wants no part of should the storm make landfall.In the event you receive one of “those” letters from your insurance carrier requesting a 4 Point Insurance Inspection be performed, ON THE GULF HOME INSPECTION SERVICES is available 7 days a week to perform this inspection for you. Our reports are completed and generated the same day of the inspection on the State of the Art iPad. The report and photos are incorporated into an easy to access and read PDF file and emailed to you and to your insurance agent for transmission to the insurance carrier on your behalf.We provide service to the entire Tampa Bay area. Please contact us at (727) 421-7650 or by email for any questions you may have regarding a Four (4) Point Insurance Inspection.